Original owner Aaron Lynn, 2nd owner Jack Boatman. 2 dacron mains, both with a little bit of the luff cut out to make them flatter. 3 mylar jibs (with luff wire) one almost new, only used at 2017 Nationals (very light air). 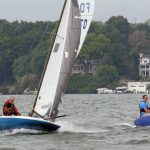 3 spinakers one almost new, only used at 2017 Nationals (very light air). 2 sets of main sail float panels. Carbon fiber mast, cleaned up w/ bolt rope track reinforced (tabbed), and repainted with polyurethane (2016). The gooseneck is on a track. The jib halyard sheave (a weak point on many older boats) has been rebuilt with a larger stainless axle (no bronze bearing) and tangs welded on that wrap around to the sides of the mast. Stainless backing plates for the attachments so the carbon does not crush/weaken. No pop rivets. Carbon bow sprit, new 2016. 2.25″ ID (largest allowed) for added strength. Harken regatta/drysail cover is usable but getting old. Harken padded envelope cover for trailering. Trailer, rewired with LED lights. Foam blocks for mast. 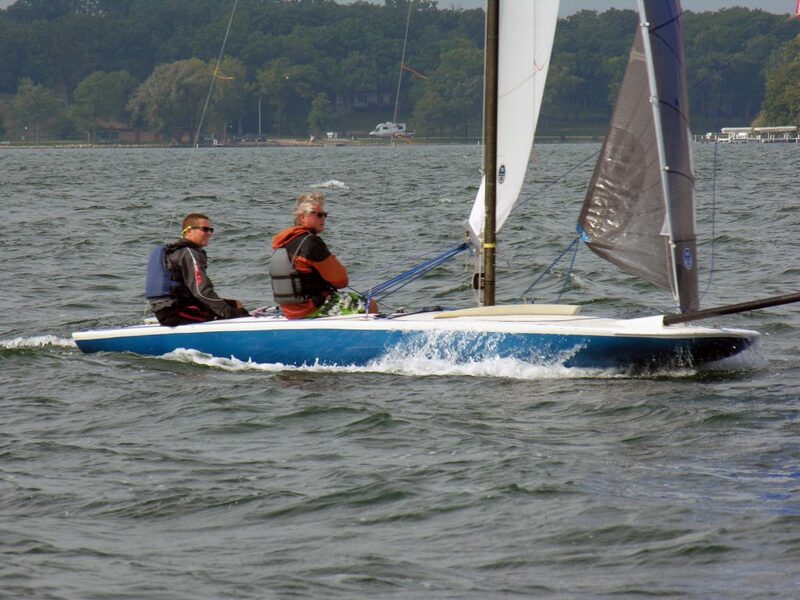 Boat has been raced every year and is well maintained.